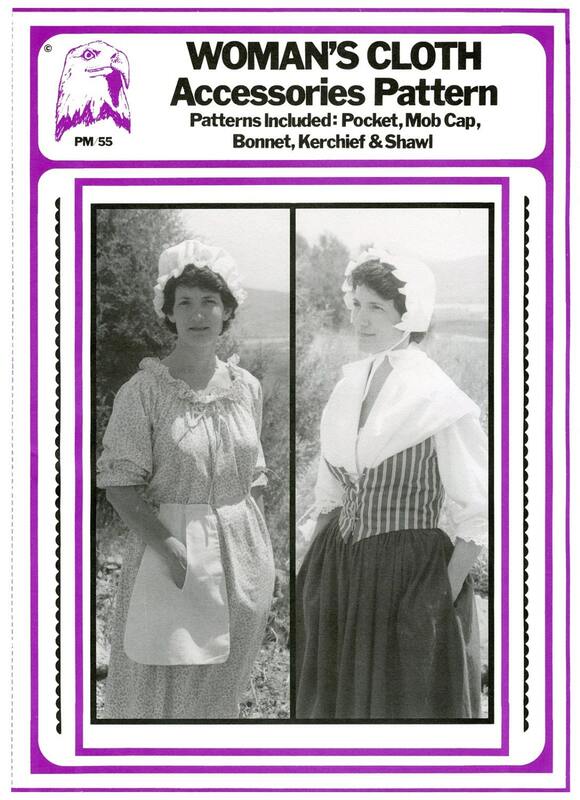 18th century women wore one or two Pockets under their apron or skirt for carrying things. These oval bags are tied around the waist with a tape and the slit opening is accessible through openings in the skirt. The pocket is sometimes decorated with embroidery. Kerchiefs come in several sizes and can be worn in a variety of ways: Small, tied around the neck, Medium, over the shoulders and tucked in the bodice and Large, used as a shawl. 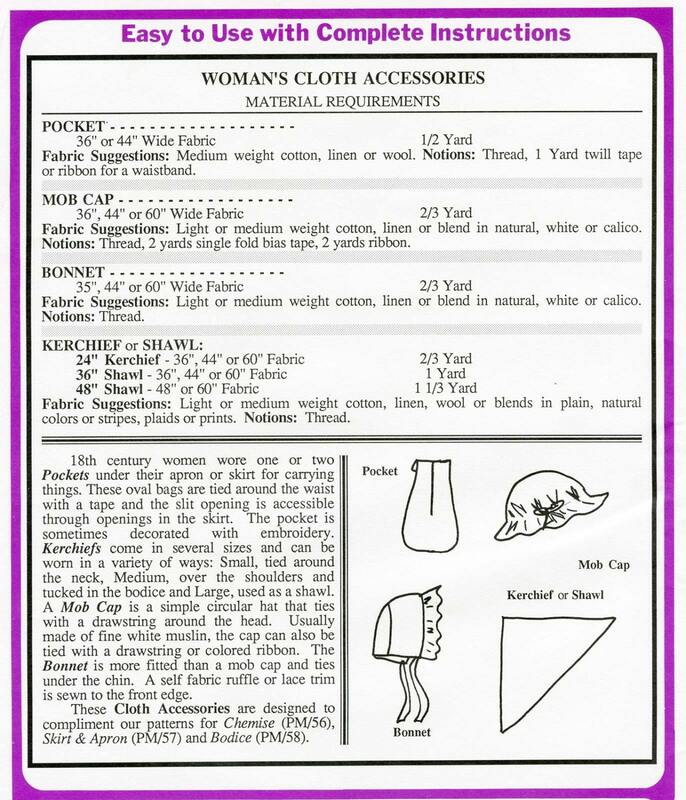 These Cloth Accessories are designed to compliment our patterns for Chemise (PM/56), Skirt & Apron (PM/57) and Bodice (PM/58).